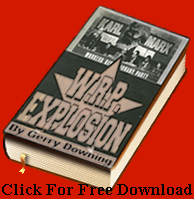 We republish below, with a link to the original, the press release of Stand Up To Racism, associated with the Socialist Workers Party (SWP) about the attack by the far right on the SWP’s Bookmarks bookshop in Central London, which is also a TUC-sponsored book outlet. Obviously our most crucial point is the call for solidarity from socialists, the Labour Party, trade unions and the left and working class movement generally. We need militant working class anti-fascist organisations with the muscle to stamp out these kinds of vile threats against the working class and its institutions and organisations. One thing that does leap out when looking at the SUTR press release is how the witchhunt in the Labour Party is resulting in events that may seem surreal, but really indicate what is going on politically today. Apparently these fascists (or perhaps proto-fascists) brandished a copy of Abram Leon’s work The Jewish Question: A Marxist Interpretation taken from the shelves at the Bookmarks staff while screaming that this ‘proved’ that the left was ‘anti-semitic’. So today we have fascistic thugs harassing a left wing bookshop who are apparently concerned about ‘anti-Semitism’. This may seem bizarre to many. But its no stranger than some of the stuff that has been happening in the witchhunt in the Labour Party. Only a few days ago, Jeremy Corbyn, apparently on the initiative of the Zionist Labour MP Luciana Berger, was denounced in the Times for in 2010 speaking on a platform alongside Dr Hajo Meyer, a now-deceased survivor of Nazi concentration camps, where Dr Meyer apparently made comparisons between Israeli treatment of Palestinian Arabs and the Nazi treatment of Jews. What is worse is that Jeremy Corbyn then actually apologised to the ‘Jewish Community’ for addressing this meeting! This is like something out of Franz Kafka’s The Trial, or Arthur Miller’s The Crucible. Leftists today are being denounced by fascists and the right-wing media as ‘anti-Semites’ for selling the work of revolutionary Marxist Jewish victims of the Nazi holocaust, or for standing along angry holocaust survivors denouncing racism today. And what is even more grotesque and Kafkaesque is that some reputable people on the left, most notably Corbyn, are bending the knee and confessing to such imaginary and absurd ‘crimes’. Its totally absurd, and a reflection of the power that reactionary, racist/Zionist Jews have acquired in this society, where in the name of opposing ‘anti-Semitism’, militant anti-racist Jews who experienced the Nazi holocaust, or Jewish communists who were murdered by Hitler because they were … Jewish communists, can be ruled Beyond the Pale by these people. What they do not seem to remotely comprehend is that this display of reactionary Zionist power will inevitably look to many as resembling the old undifferentiated theme of ‘Jewish Power’, and could easily, far from ‘fighting’ anti-Semitism, make some of these old ideas about how Jews are supposed to operate appear real to millions who watch the television news, etc. It is actually the attack on Marxist Jews and left-wing anti-racist survivors of Nazi crimes that can help to dispel this. This is an attack by the ruling class on the working class. Part of the ruling class is Jewish, with Zionist politics, but it is acting in concert with the non-Jewish majority of the ruling class to attack the left. The far right is looking for ways it can ‘help’ with this project, and gain wider ruling class support. Hence today, it has had to renounce its old hatred of Jews in general, and now regards Zionist racists as its allies against Muslims, who it aims to attack in the way that Jews were previously attacked by its forebears. This necessarily means that the Zionist communalist element finds itself in a bloc with people similar to those who a couple of generations ago might have wanted to put them in gas chambers, against the leftist types who really were Hitler’s most hated enemies, but that’s bourgeois politics and its total lack of principles. They really do have to let bygones be bygones in their kind of politics, in a big way! We in Socialist Fight are possibly the only current on the left that makes systematic use of Abram Leon’s work on the Jewish Question, and we have also been witchhunted for it. Our comrade Gerry Downing was Nazi-baited for this by former Murdoch editor Andrew Neil and Jewish Labour Movement (JLM) Blairite hack Phillip Collins on the BBC’s Daily Politics show in March 2016. We were also denounced by the Community Security Trust (CST)’s Dave Rich around the same time as ‘left-wing anti-Semites’ for our adherence and extension of Abram Leon’s Marxist understanding of the Jewish Question. I doubt Dave Rich would have anticipated that his words about Abram Leon and the Jewish Question would only a couple of years later be echoed by fascists attacking a left-wing bookshop! But politics has a strange dialectic, and political crimes have a habit of catching up with and exposing people eventually. 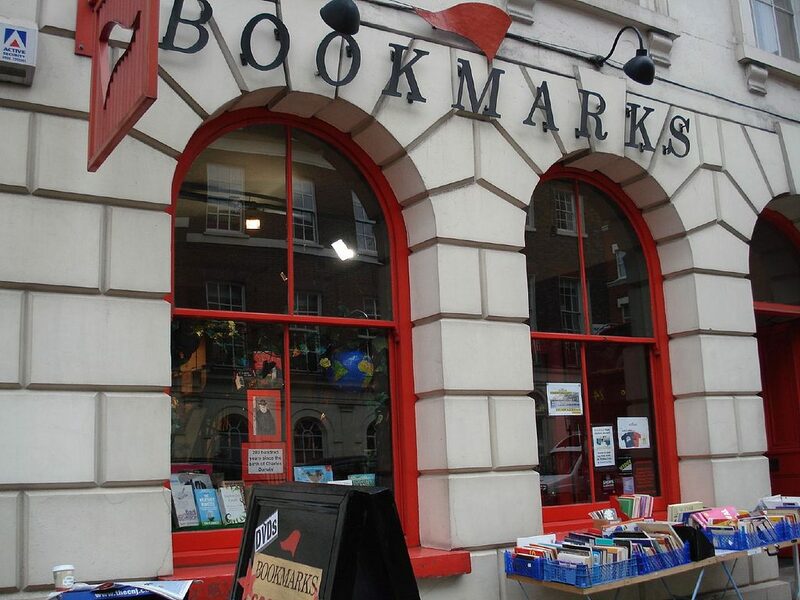 Bookmarks in central London, a socialist bookshop and also the TUC’s official bookseller, was attacked on Saturday (4 August) by around a dozen far right supporters. Some carried placards reading “British Bolshevik Cult” and one of them wore a Trump Mask. Books and magazines were ripped and torn, with displays wrecked. The far right activists also shouted about Corbyn and anti-semitism and then took Abram Leon’s “The Jewish Question” off the shelf holding it aloft as proof of the anti-semitism of the left. The attackers also make threats to return and “show what they can do”.